MARLBORO ACADEMY ALUMNI: WE’D LOVE TO HEAR FROM YOU AND KNOW HOW YOU’RE DOING. WE ARE STARTING A BULLETIN BOARD TO SPOTLIGHT OUR ALUMNI. IF YOU’D LIKE TO SUBMIT ANY OF YOUR ACCOMPLISHMENTS, PLEASE SEND US YOUR INFORMATION. WE ARE LOOKING FOR BROCHURES, NEWSPAPER ARTICLES, BUSINESS CARDS, AWARDS, NEW EMPLOYMENT, OR ANY SUCCESS THAT YOU’D LIKE TO SHARE. OUR JR. BETA CLUB WILL CREATE A COLLAGE BULLETIN BOARD AND KEEP IT UP-TO-DATE WITH YOUR SUCCESSES. PLEASE EMAIL YOUR INFORMATION TO CSTANTON@MARLBOROACADEMY.COM OR SEND BY MAIL TO CAROL STANTON, MARLBORO ACADEMY, 1035 BENNETTSVILLE FIRE TOWER ROAD, BENNETTSVILLE, SC 29512. WE ARE LOOKING FORWARD TO HEARING FROM YOU! Hail we now our Alma Mater, our academy. Blue and white shall live forever, like the sky and sea. Let us set our standards higher than do all the rest. It's our school and we must make it Carolina's best. Hail we now our fellow students, we are all as one. And we'll shine the Mighty Dragons, brighter than the sun. Give us all a kindred spirit, let us never part. Though in body we may leave here, never will our hearts. Hail we now a new tradition, let us hold it true. Let love be our binding spirit in all things we do. May this binding, loving spirit live eternally. 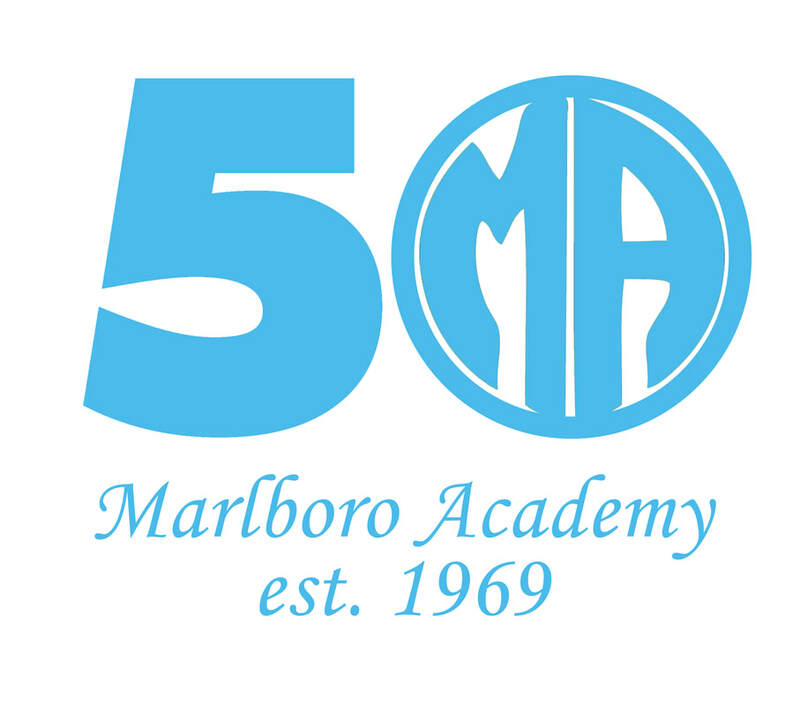 We'll remember our Alma Mater - Marlboro Academy.